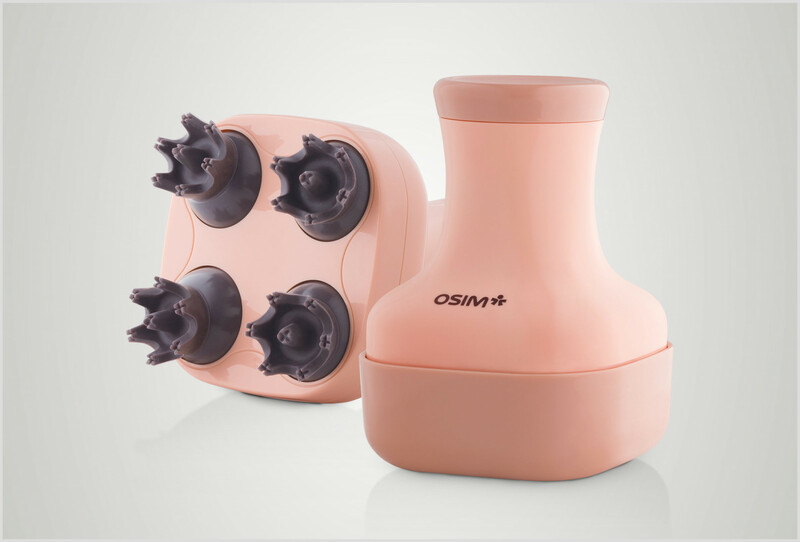 OSIM uScalp handheld massager's multi-directional scrubbing action mimics the fingers of a hair stylist to give you a deeply satisfying and relaxing salon-style massage experience, while reaping the benefits of scalp massage. The scalp massage that you look forward to at the salon can now be experienced at the comfort of your home. 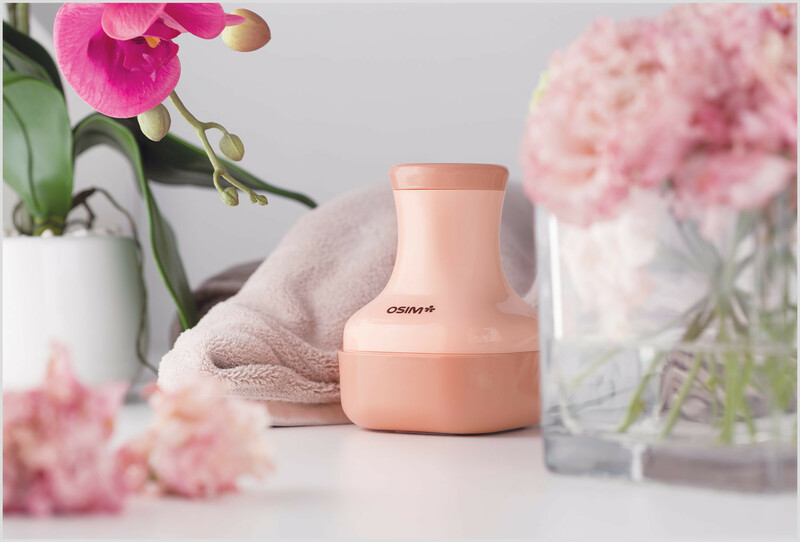 OSIM uScalp's multi-directional scrubbing action mimics the fingers of a hair stylist to give you a deeply satisfying and relaxing salon-style massage experience, while reaping the benefits of scalp massage. 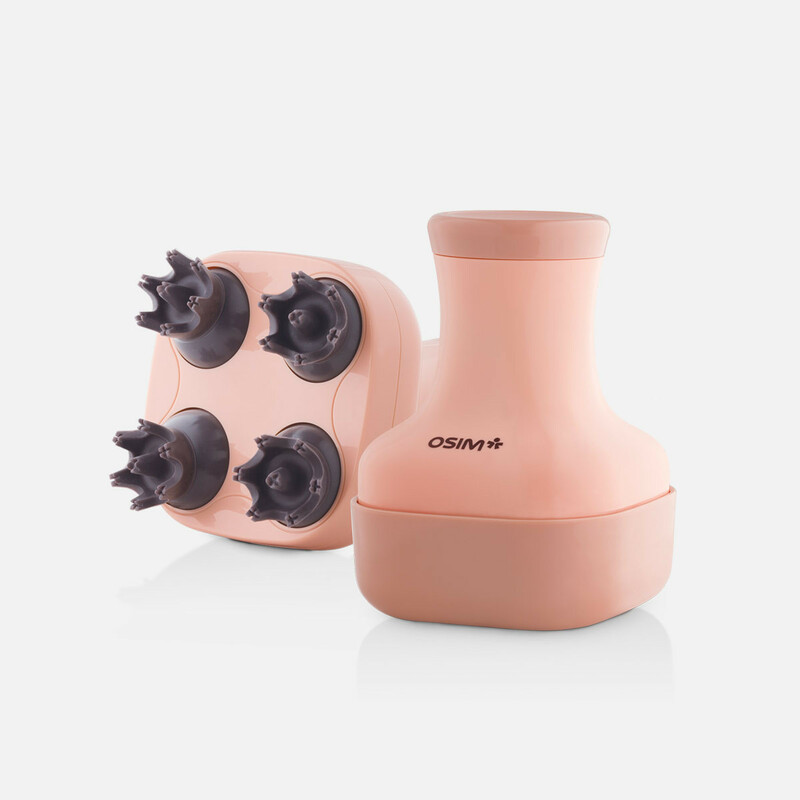 The uScalp handheld massager's multi-directional scrubbing action gently massages your scalp in circular motion. 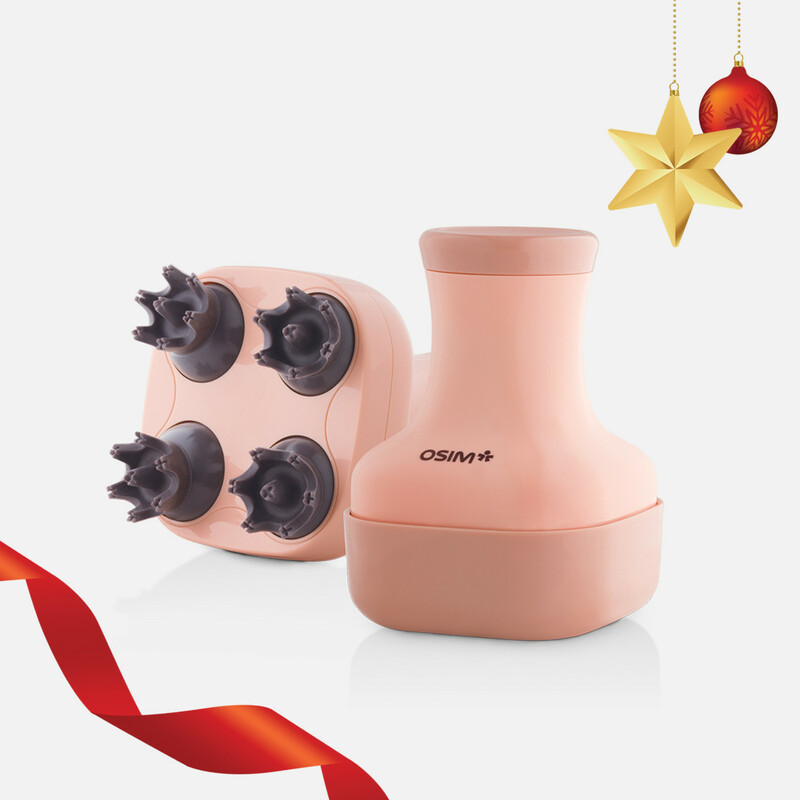 With 4 360° massage heads rotating in different directions, its 28 massage nodes help to grip the scalp and stimulate blood circulation for a thorough scalp massage enjoyment. Simply relax and let the uScalp massage away stress and tension from your head for a healthier body and mind. 4 detachable massage heads for easy washing. 28 mini massage nodes for thorough scalp massage. Simply twist the cover to begin massage. Ergonomically designed handle for better hand grip. Battery operated, portable and lightweight.